Located at No. 289, Macau Road, Putuo District, Shanghai Jiangnan Silk Museum offers a great chance to see how the silk is made into clothes or beddings. At the museum, you can not only see the ancient folk silk reeling tools and equipment, but also can enjoy the luxurious silk woven robes, etc. At the Shanghai Jiangnan Silk Museum, you will know the history of silk and the silk production process. You can know how the silk clothes is created, including silk scarf, silk pajamas, silk pillows, silk quilt cover and the like. 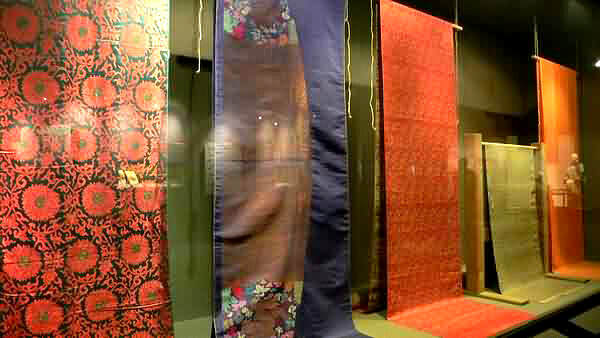 Silk is one of the oldest civilizations in China. As early as the late Neolithic period, our ancestors had mastered the method of silkworm breeding and silk taking, which greatly improved the material and cultural life of human beings. If you are lucky, you will see the silk show. Some models in the exquisite silk chi-paos and walk with the sounds of the classical Guzhen. You will feel that you went back to the time. The best time to visit the museum is in the morning during the opening hours except at weekends and during the holidays. Rent a vehicle to the market. This is the quickest and most direct option. Take Bus 105, 64, 76, 112, 206, 68, 738, 830, 19, 106, 13, 63, 768, 837, 941, 948, 950, 966, 36, 113, 24, and Bus 955. Take Metro Line 13 and Line 7. Opening hours: 09:00 – 17:00. Interested in visiting Shanghai Jiangnan Silk Museum on a Tour? Wendy Wei Tours offers a variety of different packaged tours as well as custom tours including Shanghai Jiangnan Silk Museum, among other attractions and destinations. To find out more, please visit our Tours page or Contact Us directly to find out more.